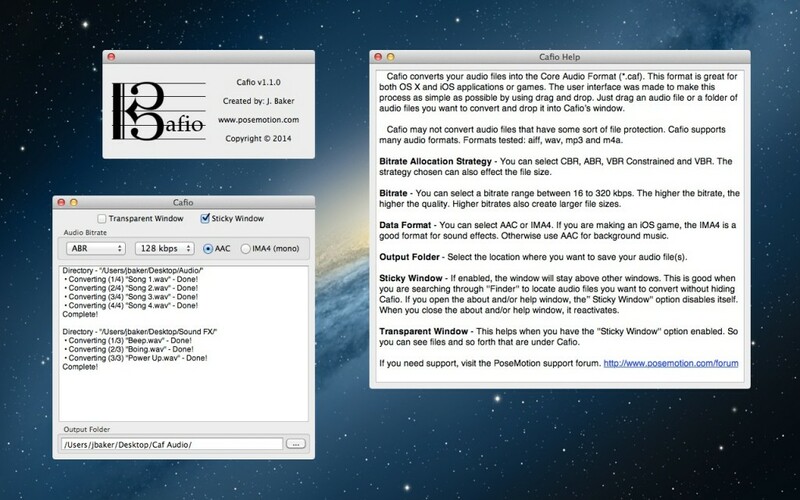 Cafio converts your audio files into the Core Audio Format (.caf). 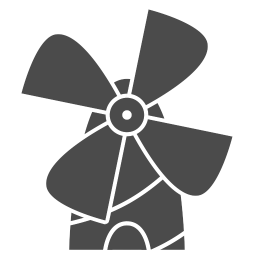 This format is great for both OS X and iOS applications or games. The user interface was made to make this process as simple as possible by using drag and drop. Just drag, with your mouse, the audio file(s) you want to convert and drop it into window. Cafio supports many audio formats. Formats tested: AIFF, WAV, MP3, and M4A. Batch Conversion – Drag and drop a folder of audio files. Memory Settings – Previously used settings are automatically set when you open Cafio. Transparent and Sticky window options.